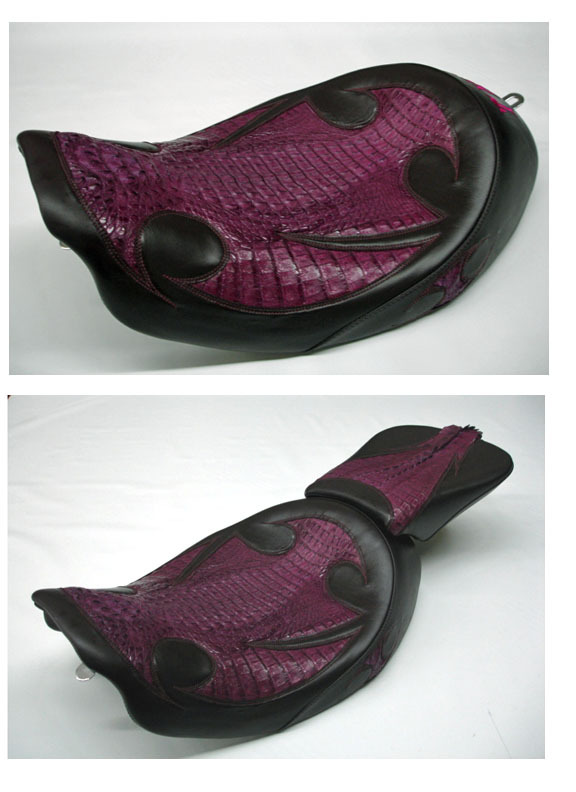 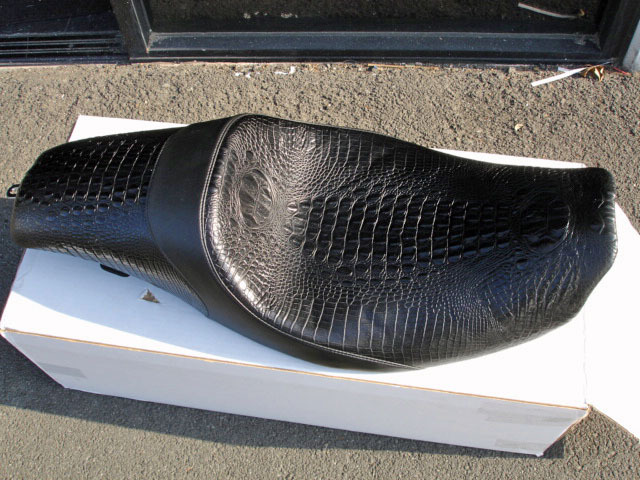 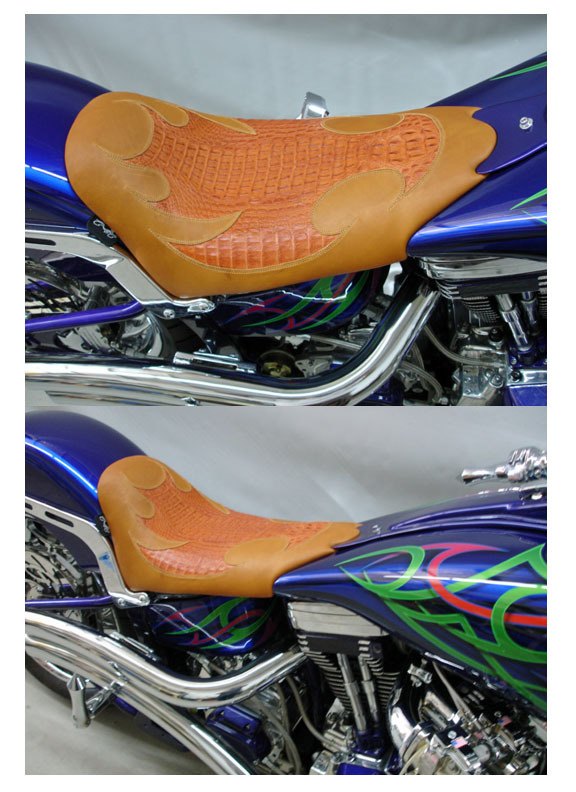 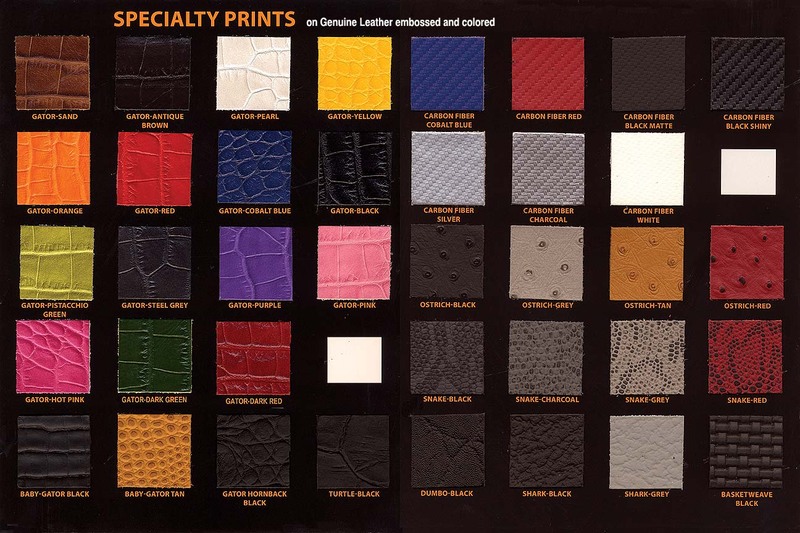 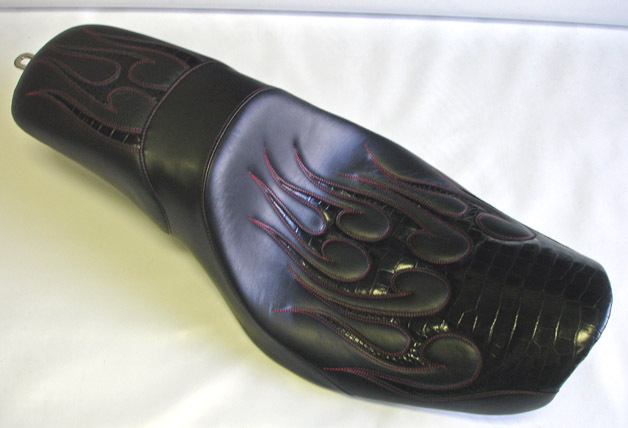 After you have selected the Solo Leather Seat for your bike on the prior page, Add below Option to get your seat in Embossed Alligator Leather The faux Gator is too thick to make a one piece LoPro Solo seat, it won't fold around the edges without puckers and won't lay smooth. 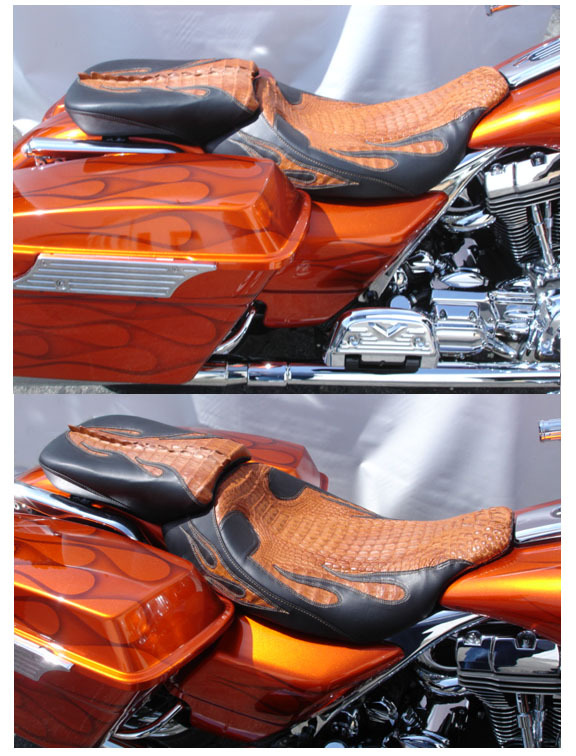 If you want a faux Gator seat, you will need to order a two piece solo seat. 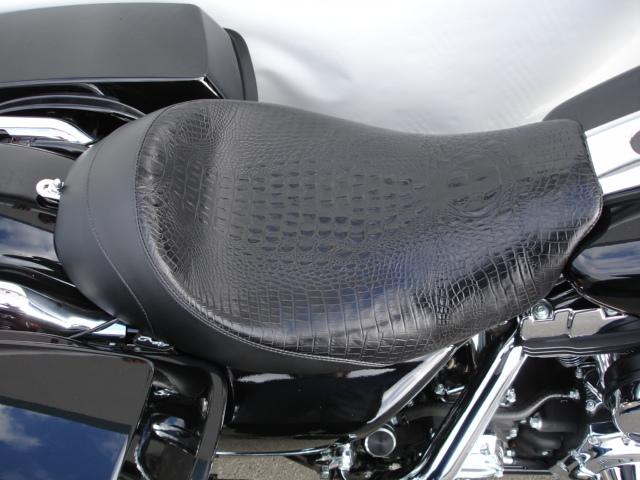 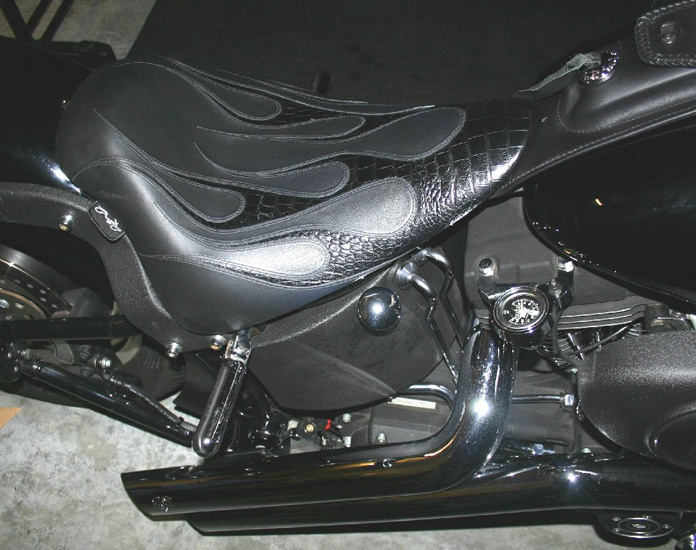 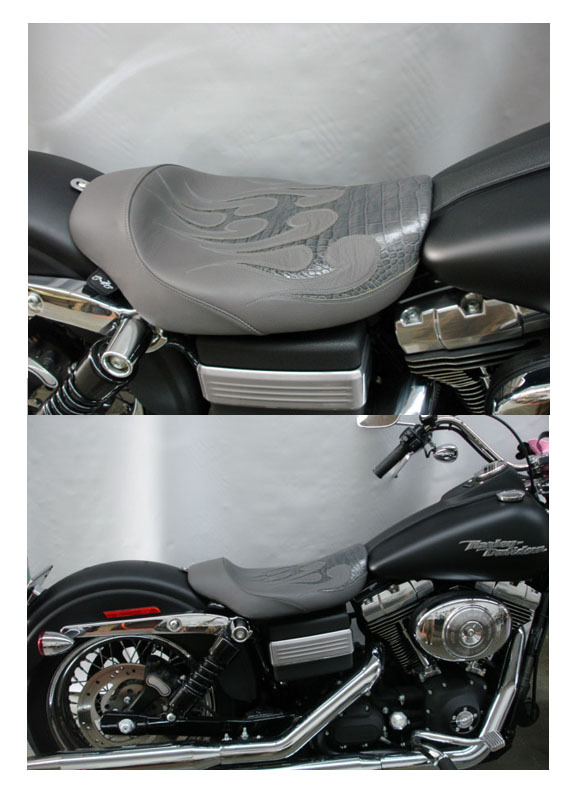 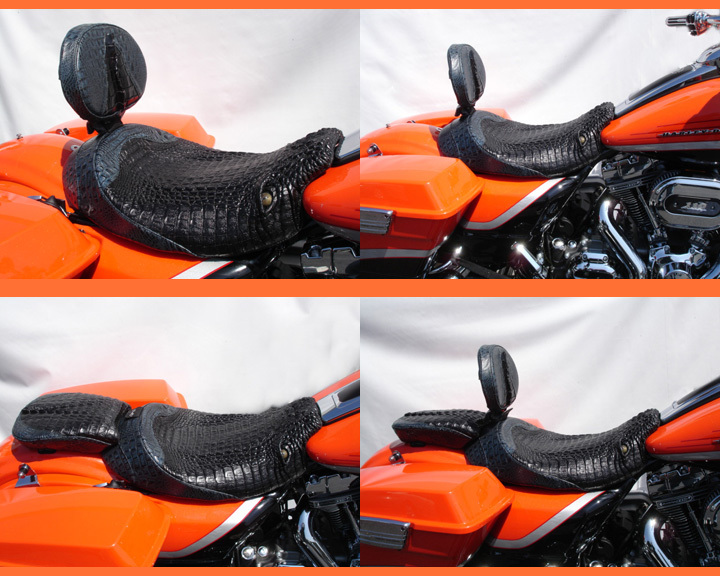 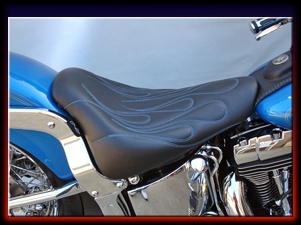 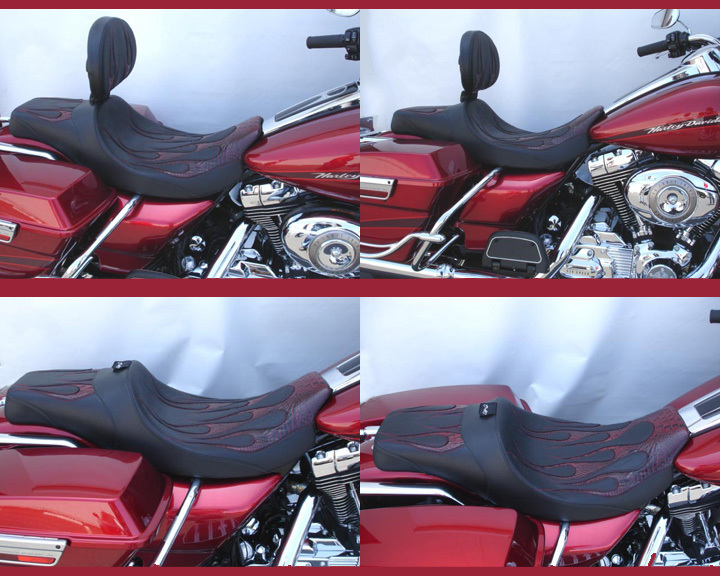 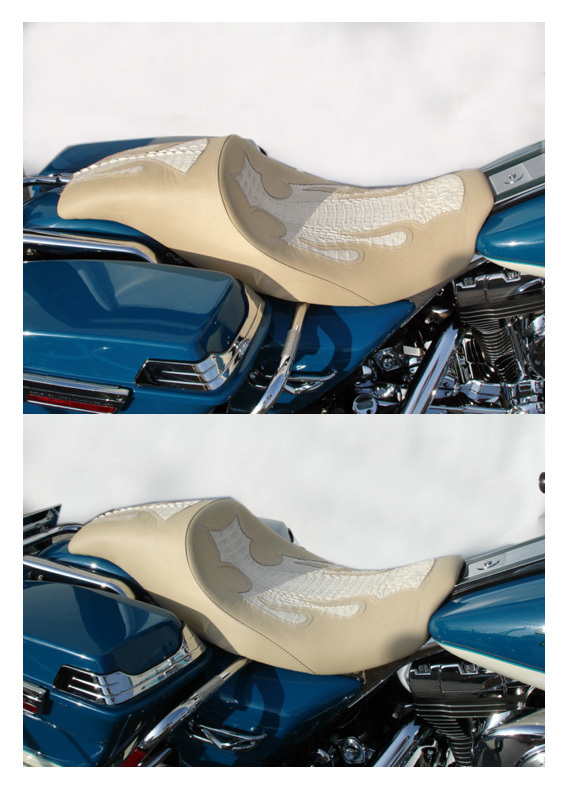 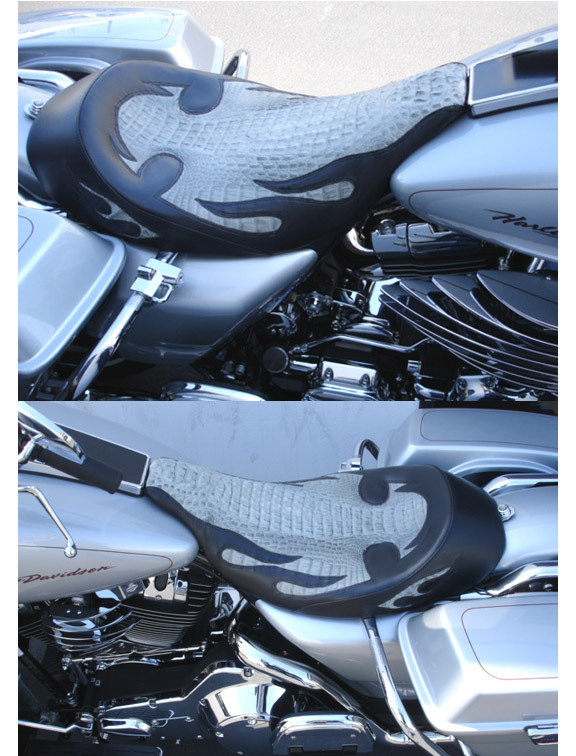 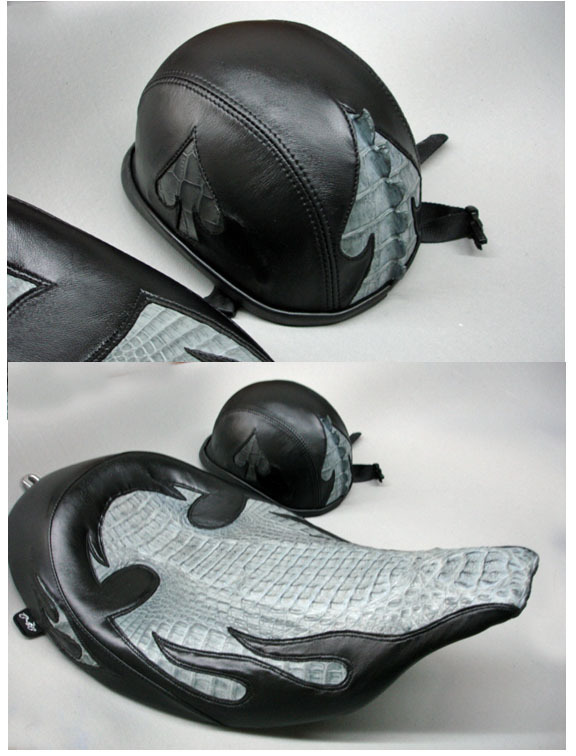 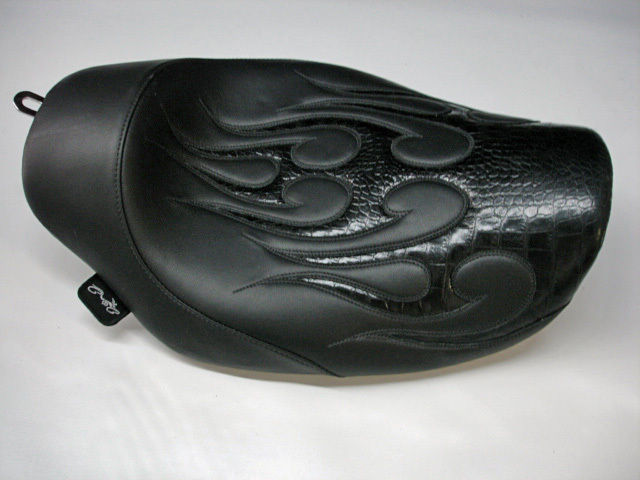 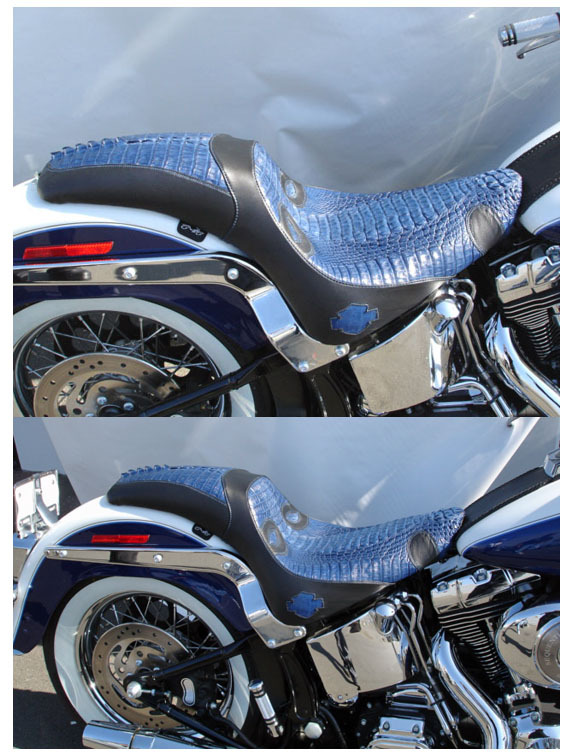 After you have selected the two piece Solo Leather Seat for your bike on the prior page, Add below Option to get your seat in Embossed Leather The faux Gator is too thick to make a one piece LoPro Solo seat, it won't fold around the edges without puckers and won't lay smooth. 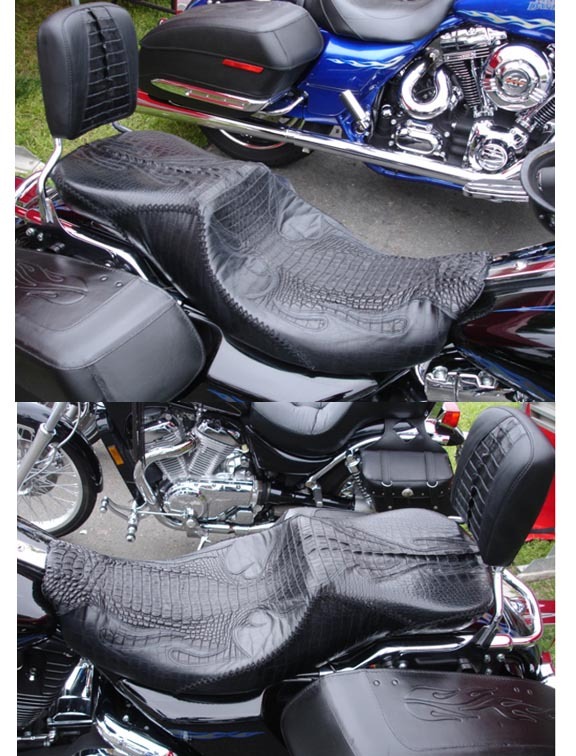 If you want a faux Gator seat, you will need to order a two piece solo seat. 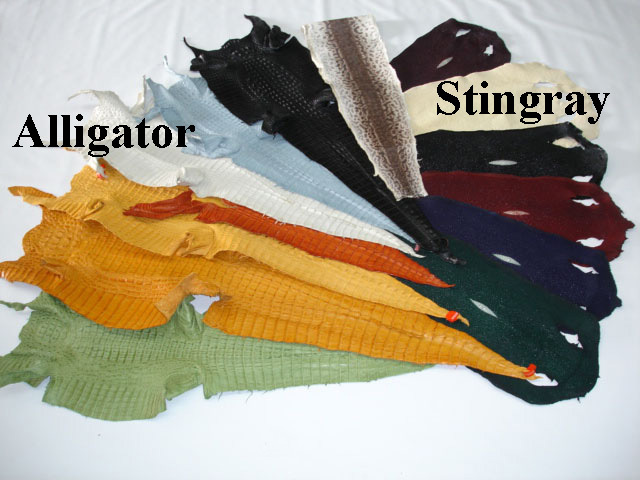 Colored Real Alligator for Solo Seat - Please write in the "Special Instructions" section of your purchase order what color Real Gator you want. 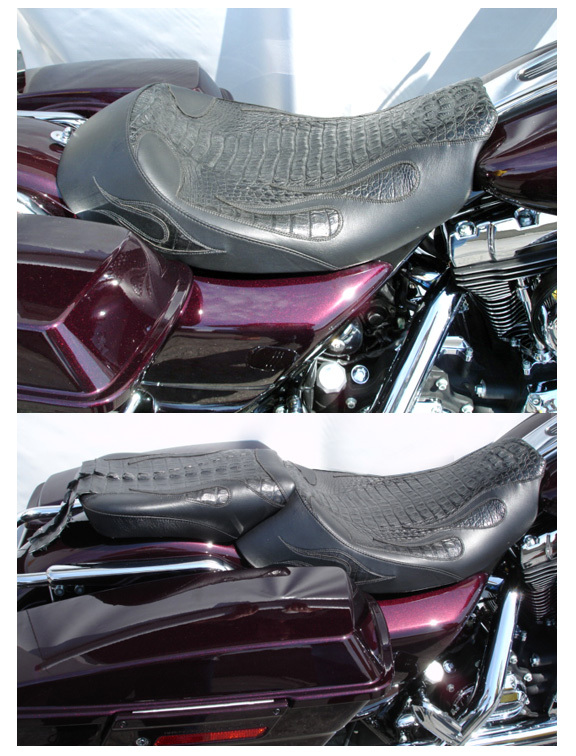 Colored Real Alligator for 2 up Seat - Please write in the "Special Instructions" section of your purchase order what color Real Gator you want.